Back in September Cray Wanderers were on an unbeaten run until they came up against Lewes at the Dripping Pan. On that day there was a Brotherton penalty, 2 Cray red cards and a 2-1 defeat for Tony Russell’s men. Fast forward four months and it was only the location that changed as Cray lost the top spot in the Bostik South Division thanks to a Brotherton penalty, two red cards and a 2-1 defeat. Wanderers were coming into this big clash on the back of a stunning 9-1 win against Ashford midweek so should have been raring to go from the off, but that was not the case. In the very first minute Frankie Chappell was able to walk the ball out of defence before playing a lovely through ball to Omarr Lawson who drove it past Blue into the corner to put Lewes ahead. A shocking start that stunned the large home contingent and it was about to get worse. On nine minutes Jamie Brotherton attempted to run with the ball past Mitchell Nelson, who went in for the block, Brotherton hit the floor and referee Dean Skipper pointed to the spot. It looked a harsh call from my distance but the Lewes number 10 is a clever player and possibly outsmarted Nelson on this one. Brotherton himself took and scored the penalty and Lewes were 2-0 ahead early in the game. It was a dreadful start with the only positive being that there was a lot of time left in the game. For the rest of the first half Cray dominated the possession without actually creating any clear chances as Lewes were able to sit back on their lead and soak up the pressure. They had a few half chances themselves through Hammond and Sow but were not able to beat Nick Blue for a third time. It was a far different game than Wednesday night, not for the obvious fact of not scoring loads of goals but the Cray passing was not as quick or slick. Mistakes were being made all over the field and the ball kept getting lost. There were too many poor performances all over the pitch, Henry, Dent and Mundele could not get a grip on the game and it was a poor debut from Dadson so far. The half ended and although it was a very disappointing 45 minutes you still felt there was something that Cray could get from this. Lewes had been good, but not unbeatable. As we started the second half Carpenter came on for Henry and Dawson pushed right up with Dent in the heart of the midfield as Cray went looking for a way back in. It was all Wanderers in the second half as Winterton in the Lewes goal made several good saves. MacDonald first saw his header stopped, then Dawson went close and shortly after that the keeper made a great save from a decent Brandon Scott effort. His all round game was impressive today as he was commanding from crosses, made the saves and his kicking game was strong. Junior Dadson saw his disappointing debut end in the 66th minute as Lawrence came on. Scott went on to the right wing to link up with Mundele and there still was hope of getting something from the game. That hope soon increased. Mundele played a quick one-two with Dent and burst into the box, his shot from an angle beat Witherton and only had to get past Chappell on the line. The Lewes defender tried to clear it but could only steer the ball into the bottom corner. Own-goal or Mundele goal? Who cares, it was a Cray goal, 2-1 and Game On! Cray went for it and continually pushed forwards. Michael Power entered the action and you still felt that this could end level. But Lewes are a tough team to break down. Their centre-backs look solid and are comfortable coming forward with the ball. Just in front of them wearing number 4 is their holding midfielder James Hammond who also had a strong game. You can see how they are with Cray at the top, although they are not as entertaining, they do everything well without doing anything special. Both teams shared half-chances and the game moved into injury-time. Now I hate to be one to have a go at referees, indeed had what happened next not occurred then I would have ignored his inept performance, but he was poor. This was meant to be a game between the best two sides in the League but throughout he continually attempted to stop it and make strange decisions and try to be the centre of attention. In the first half he booked four players, two of which were very harsh, one for each side. Yet there were other strong challenges made, especially by the Lewes defence that were ignored. But they were nothing compared to the decisions made in the 90th minute. Lewes had a throw on the half-way line, they were understandably trying to run the clock down, but it appeared that their man accidentally committed a foul throw. The referee penalised him and Barney Williams quickly tried to take the throw himself. When Mr Skinner said no and let Lewes have another go at it Williams was clearly unhappy and through the ball down in anger. Amazingly a Red Card was pulled out and Williams had to go. It seemed a crazy decision to me. Even if the referee was right to let them throw again then surely a yellow card was enough or even too much? Cray were down to 10 men. Make that 9, again. Mitchell Nelson had been pushed up the field to try and gain an equaliser in the final few minutes when he went for a 50/50 aerial challenge with Lloyd Cotton. The Lewes defender went down claiming an elbow in the face. I saw this as a smart time-wasting attempt but one that the referee will not fall for. Will he? OK, he will. Nelson got a second yellow and Cray were down to 9 and the game was gone. Cotton recovered well once the card was shown. And that was that. 2-1 to Lewes and they return to the top. The long unbeaten run was gone but not without a decent attempt to keep it from Cray. The referee tried his best to spoil the game and achieved it in the end. As I said earlier, had he not awarded those unnecessary Red Cards in the final minutes I would have hardly mentioned him. They did not affect the result of this game as they were so late but the suspensions from them may affect the future games. Lewes are a good side, Cray are better. They will probably both go up but there are 15 or 16 games left and a lot of points to play for still so you never know. Had there not been a lot of changes at Greenwich Borough I could see them still getting in the mix but maybe now they will have to settle for a play-off place alongside Carshalton, Walton and Corinthian-Casuals. 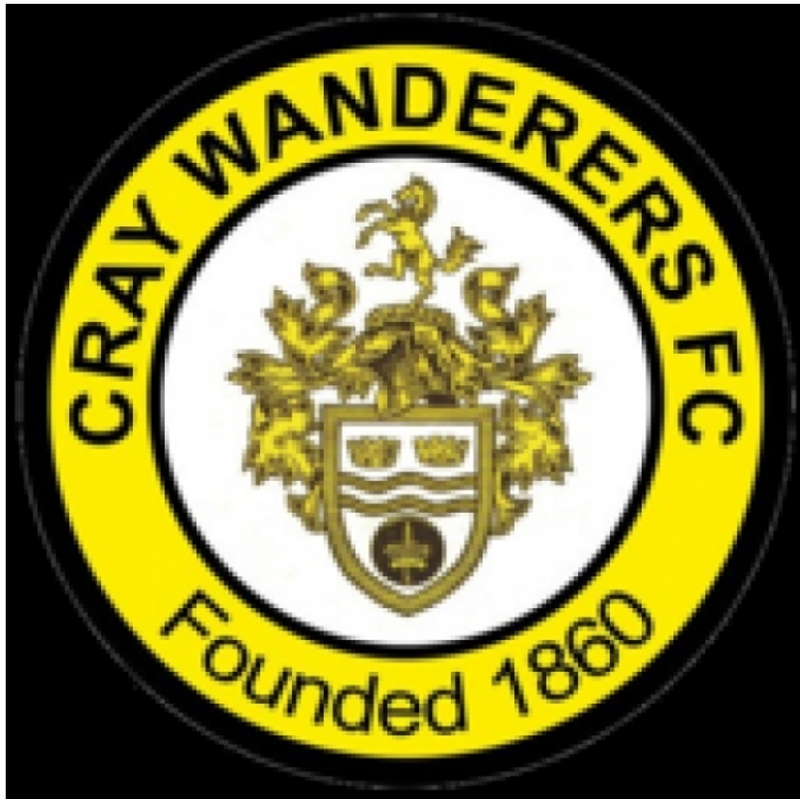 It will be an interesting run-in and end to the season I am sure but if there is any justice then we will be seeing Cray Wanderers in the Bostik Premier next season. Hopefully.